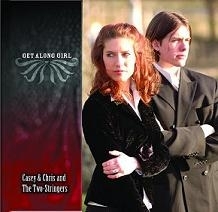 The Two-Stringers' first full-length CD features Chris's songwriting and Casey and Chris's close sibling harmonies. Their traditional bluegrass sound is unique and fresh. Note: I no longer have any physical copies of this CD. There is one currently left at CDBaby. Please visit CDBaby or iTunes to download the album.